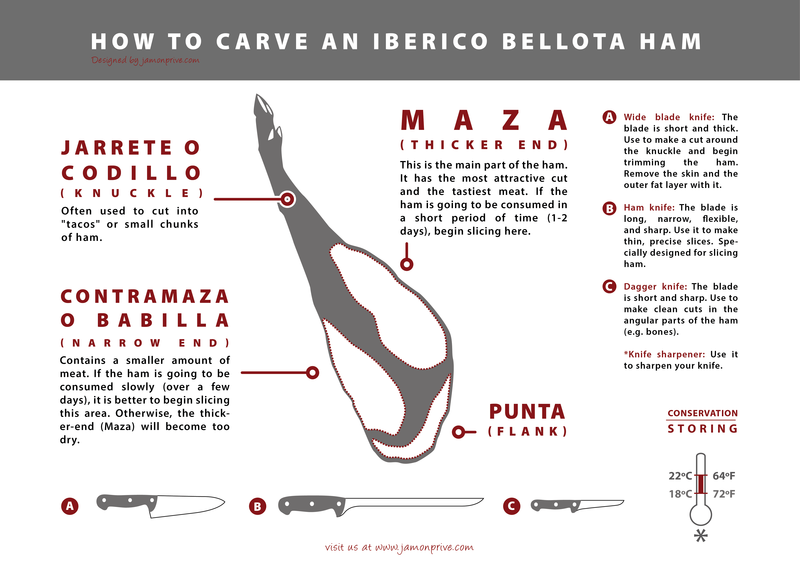 There are many factors involved in certifying the Denomination of Origin of an Iberico ham. These ensure that that the breeding, feeding and curing of Iberico hams has been performed under the strictest quality standards. Let's find out what they are! Iberico ham is subject to a system of quality control promoted by the European Union since 1992, which is used as a method to identify and mark exclusive agricultural products that must come from a specific region, or that require special knowledge. Iberico ham is covered by the DOP (Protected Denomination of Origin) scheme which is designed to protect and guarantee the quality of products that come from a specific geographic area and which have been produced using specific local specialized knowledge. It's a way fo preserving for the future both the label and the skills of traditional delicacies against cheap imitations and protecting the transmission of traditional skills. The objectives of the Denomination of Origin of Iberico ham scheme are threefold. First, the scheme aims to diversify production in areas where agriculture is the biggest driver of the economy. Secondly, it protects producers from fraud and misappropriation of trademarks or descriptions, meaning they can't be undercut, driven out of business or forced to compromise by having to compete with cheaper, less scrupulous businesses exploiting the Iberico name. And thirdly, it means consumers enjoy greater transparency, and know more about what they're buying. In Spain there are four types of Denomination of Origin for Iberico ham: Dehesa de Extremadura, Guijuelo, Huelva and Los Pedroches. In all cases, the quality seal awarded by the regulatory Board has to be easily visible for quick identification, so you know exactly what you're buying and you can be sure of its quality. 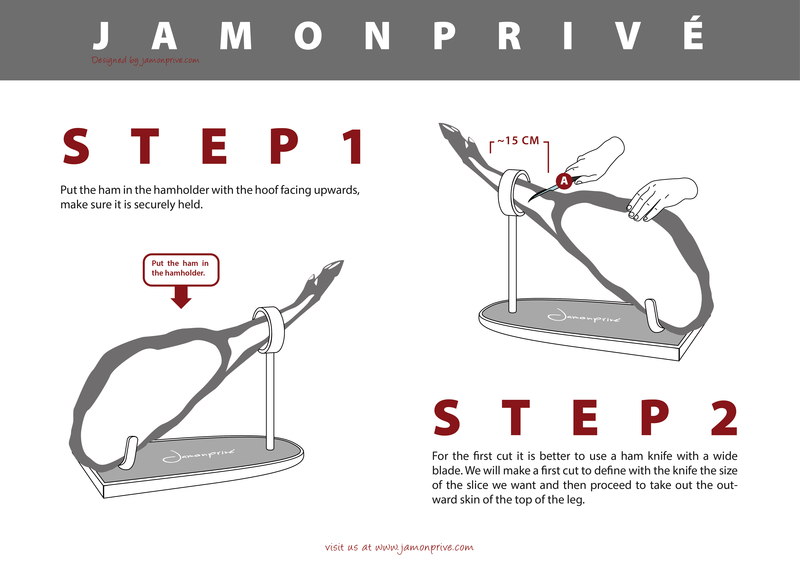 Each Denomination of Origin of Iberico ham follows a quality standard that refers to the curing time, the purity of breed of the pigs whose meat forms the basis of the ham (it must be at least 50% Iberico, and it must be the result of breeding with a 100% Iberico female, to prevent gradual dilution of the breed), the type of cutting practiced and the organoleptic (sensory - color, flavor, scent) properties of the final product are also assessed, as is chemical composition and the weight of the animals used. Overall, there'sno real difference in quality between the four Denominations of Origin: all are equally high, and they're consistent across almost all parameters, ensuring a level market where the only real difference is the geographical origin of the pigs. The Denomination of origin for Iberico ham of Dehesa de Extremadura refers to strictly 50% or above Iberico pigs, as described above, which have been bred and raised in the cork oak and oak forest pastures of Cáceres and Badajoz, in the counties of Sierra de San Pedro, Gredos, Sierra Montáchez, Ibor-Villuercas and Southwest Badajoz. These Spanish hams are characterized by a slightly salty flavor and a very pink soft flesh with a pleasing aroma and beautiful flavor. The Los Pedroches Denomination of Iberico ham is limited to a particular climatic zone north of Córdoba, and here the producers of 32 municipalities can obtain the quality seal of this DOP. Spanish hams from this area are characterized by having very little fiber and very bright fat, with a pink flesh and an explosively intense flavor on the palate. The Denomination of Origin for Iberico ham from Guijuelo requires that pigs have been bred, reared and fattened in various regions of Zamora, Avila, Segovia, Cáceres, Badajoz, Seville, Cordoba, Huelva, Toledo and Ciudad Real, although the area they must be processed is smaller, restricted to just 77 municipalities of Guijuelo south of Salamanca. Spanish hams with this designation have a salty sweet flavor with a very intense aroma, the result of long maturation. They present an intense pinkish color and golden fat tones. Finally, the Huelva Denomination of Origin for Iberico hams refers to pigs raised in pastures in the areas of Huelva, Cádiz, Sevilla, Córdoba, Málaga, Cáceres and Badajoz, and they must be processed in one of the 31 municipalities of the Huelva region of La Sierra. Usually these will be narrow hams with an elongated shape and a grayish-white exterior. Once opened the meat is pinkish and of excellent, delicate flavor.